Get together at the Clarion Hotel and Aqua Lagoon Waterpark hotel in West Springfield, MA. 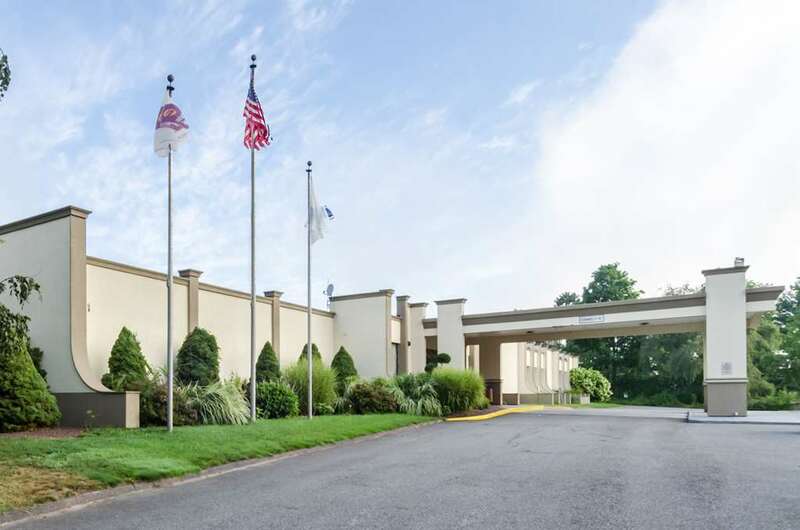 Located off Interstate 91 and the Massachusetts Turnpike, nearby destinations include Old New-Gate Prison and Copper Mine, Naismith Memorial Basketball Hall of Fame, Yankee Candle Store, Springfield College and Volleyball Hall of Fame. Bradley International Airport and MassMutual Center Arena and Convention Center are also close. Enjoy amenities like free WiFi, fitness center, game room, guest laundry facilities and an indoor waterpark. Guest rooms include a flat-screen TV, coffee maker, hair dryer, iron and ironing board. Also, earn rewards including free nights and gift cards with our Choice Privileges Rewards program. Guest must be 21 years or older to check-in. Valid identification will be required for all check-ins. The following fees and deposits are charged by the property at time of service, check-in. Deposit: USD 100 per stay. Poolside Rooms include Microwaves Refrigerators, all other rooms upon request only.